The Banco Central de Nicaragua have issued the first coin in a new series which highlights the Central American country’s wildlife that is both prevalent, and in many cases, unique, to the country or region. 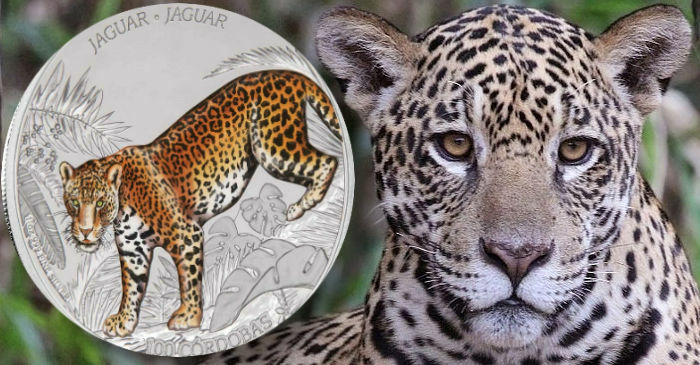 The first coin features the elusive jaguar, a stealthy hunter and creature of immense beauty. The jaguar is the largest wild cat to be found in Nicaragua and is also indigenous not only to Nicaragua specifically, but also the only extant member of the genus Panthera native to the Americas. Being the largest cat species in the Americas, it is also the third-largest in the world after the tiger and the lion. This spotted cat closely resembles the leopard but is usually larger and sturdier, preferring a habitat that is tropical and subtropical with moist broadleaf forests, swamps, and wooded regions. With a similar liking to water as tigers, jaguars enjoy swimming and are, for the most part, a largely solitary, opportunistic, stalk-and-ambush predator at the top of the food chain. As such, it plays an important role in stabilising ecosystems and regulating prey populations. Their distinctive ‘rosettes’ on their coat provide an excellent camouflage for hunting and hiding in dense forests. With its short, stocky, limb structure, this makes them well adapted to climbing, crawling, and swimming — perfect for stalking and ambushing prey. 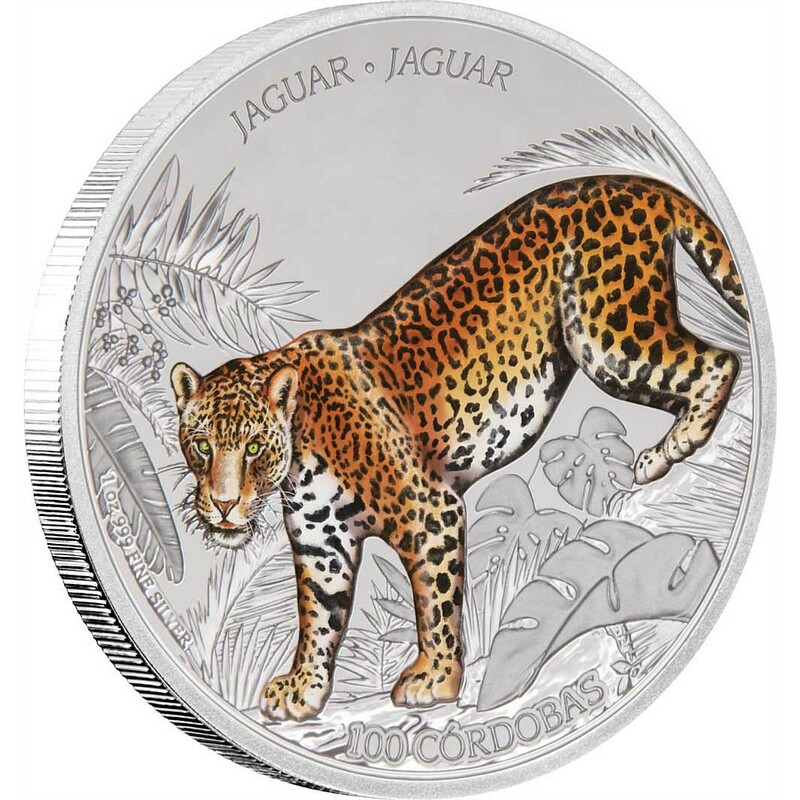 The coin is produced by the New Zealand Mint at their facilities in Auckland, on behalf of the Banco Central de Nicaragua, and includes a vividly coloured reverse design which imaginatively combines the spotted jaguar amongst a detailed engraving of its native forest habitat. The coin’s denomination of 100 CORDOBAS is placed just under the primary design. 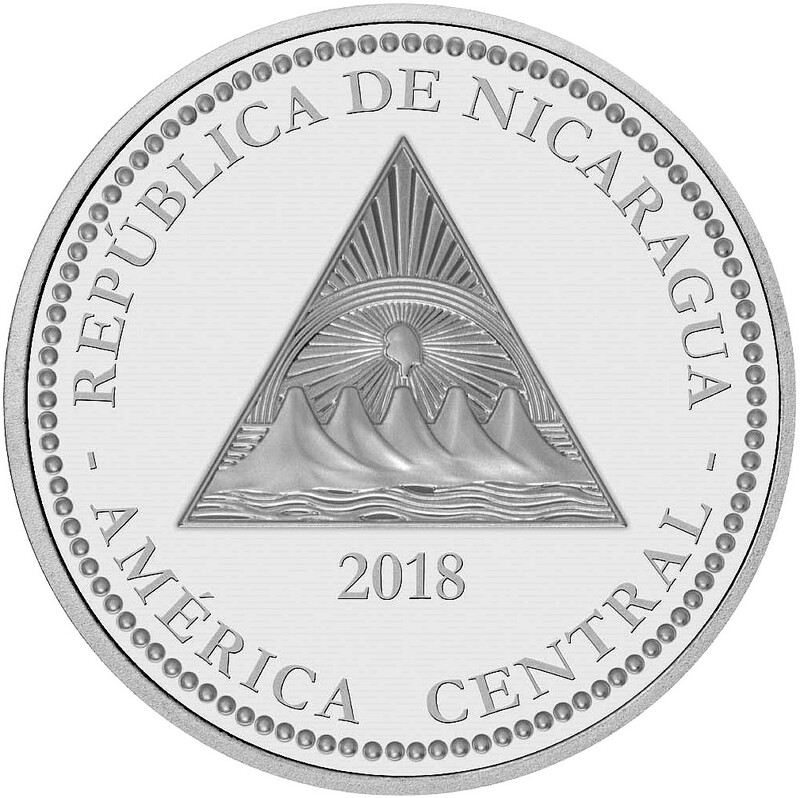 The reverse includes the country’s official crest situated in the centre with the text REPUBLICA DE NICARAGUA positioned above along the upper edge and AMERICA CENTRAL placed underneath the crest. The year of issue, 2018, is seen just under the crest. 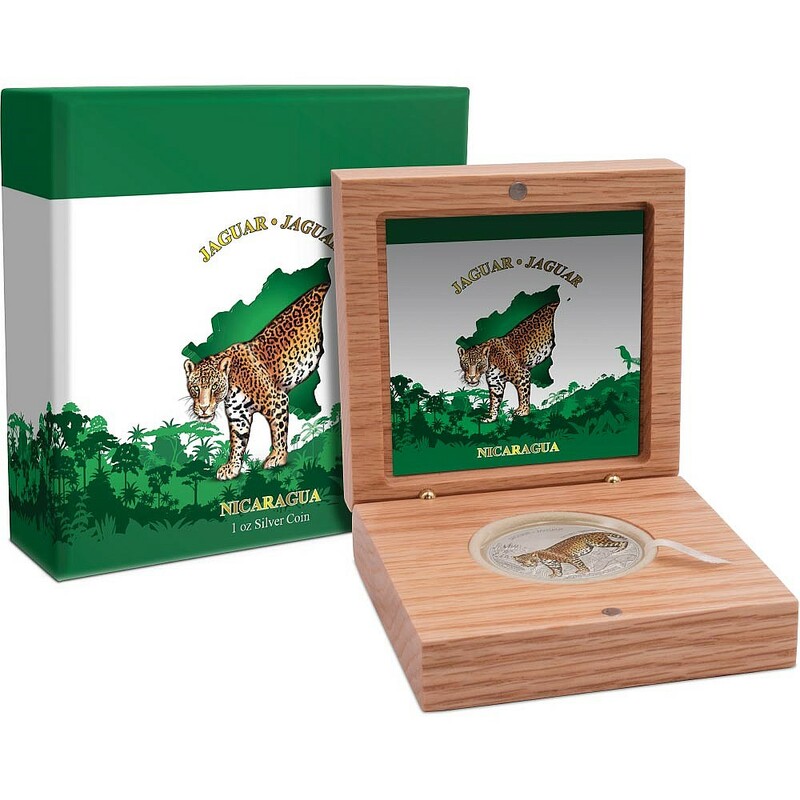 The encapsulated coin is encased in a custom-produced wooden box featuring Nicaragua’s Coat of Arms and is accompanied by a certificate of authenticity written in both English and Spanish. The outer box has been designed to complement the Nicaraguan wildlife theme. For additional information for this coin and to learn about additional coins in the new Wildlife series, please visit the website of the New Zealand Mint.